Because the weather this week in Atlanta was unbelievably beautiful (for August), my husband and I had our pizza on the patio. 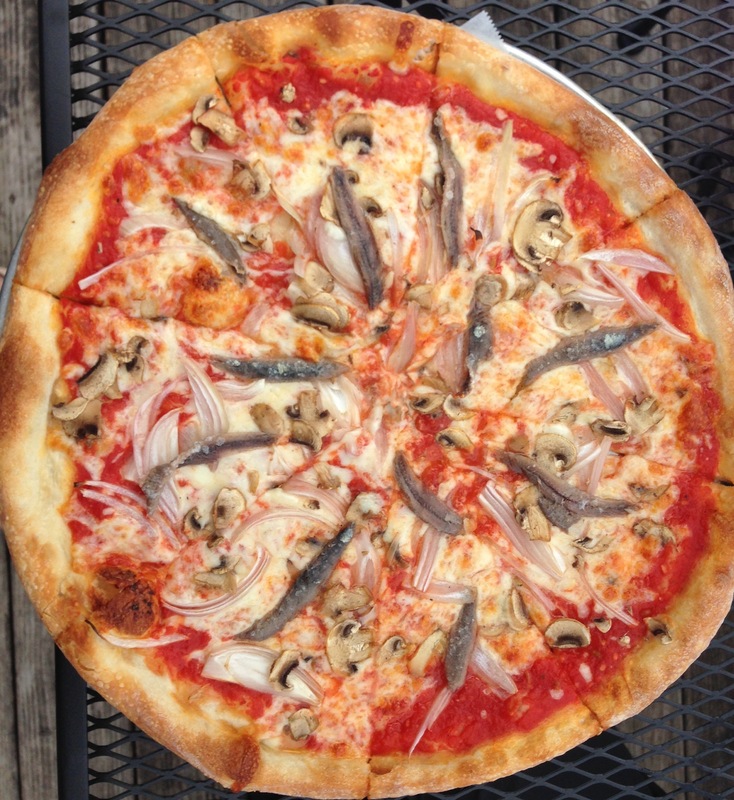 Maybe you don’t like anchovies. We do. It’s an acquired taste, and we don’t choose them on our pizza very often; trust me, they taste better than they look. And you don’t need to add any salt to the pizza. Now for the film. I watched Man from Uncle on television in the 1960s and loved it. This movie was well done, funny, and entertaining. The car chases were great, and one scene, while the characters were clothes shopping, was particularly good. If you never saw the TV series, I still think you’ll like this movie. Especially if you were alive when there was an Iron Curtain. The casting was great, too. The Russian was played by the same actor who played the twins in The Social Network, and the woman was in one of my favorite films, A Royal Affair. Both nailed their roles in this film, as did the other male lead. Just like with anchovies on a pizza: Try it, you’ll like it.